Q: How to see real URL and statistics for the shortened url? A: Just add a "+" sign at the end of the shortened url. Q: How to make a shortcut for short link creation? 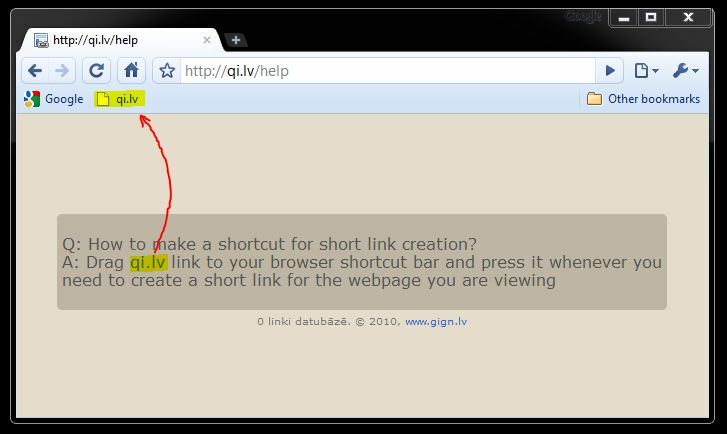 A: Drag qi.lv link to your browser shortcut bar and press it whenever you need to create a short link for the webpage you are viewing.